It’s such a blessing that Emirates Airline is growing, cause as it spreads it’s wings to new locations; the travel hungry people like me get to see parts of the world which were previously so hard to get to or just never crossed our knowledge. 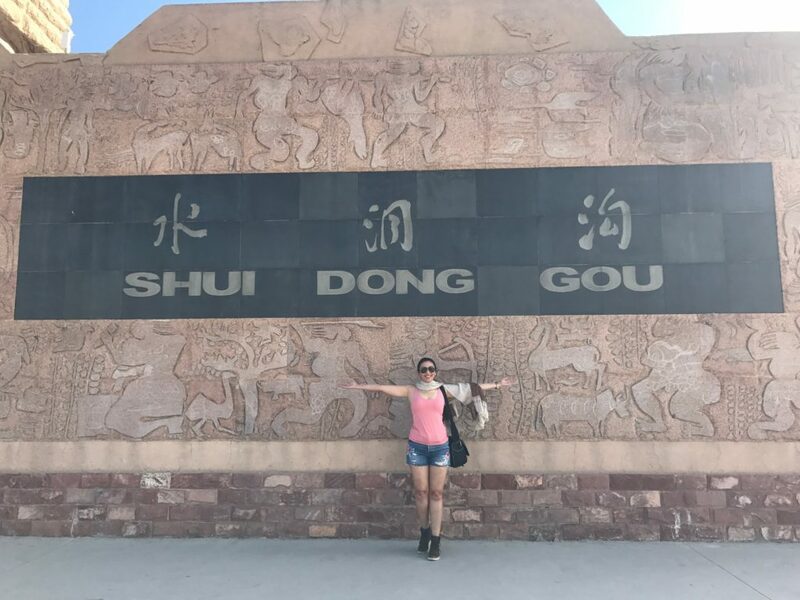 So, with the launch of a direct 6 hour flight from Dubai to Yinchuan, I got to explore a whole new region of China; which much of us are unaware of. 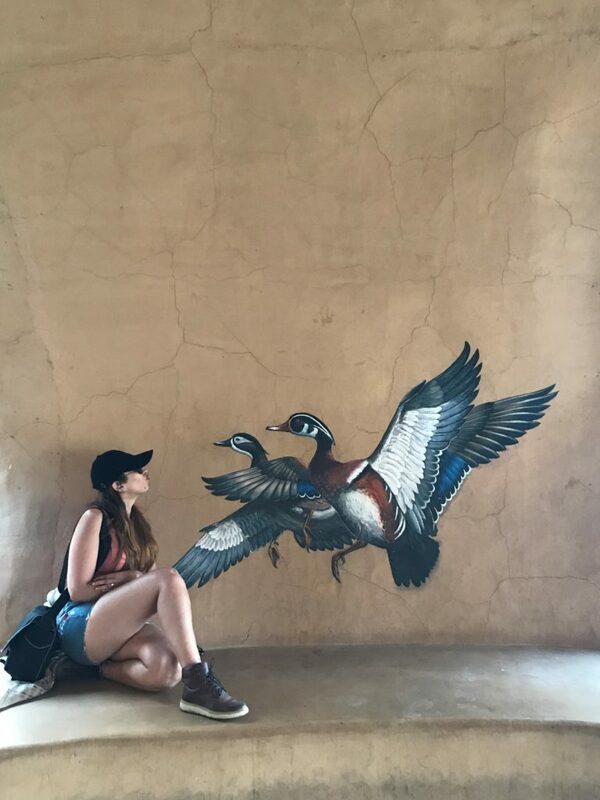 I was there for 5 days, so here is a list of my 5 Must See Spots in Ningxia, China. If you have read my blogs, you’d know I don’t particularly Google any details about the places I visit. I like the surprise angle and this also helps me manage my expectations… (psst… I’m very easy to please.. haha!) Unfortunately or Fortunately… our eyes to the rest of the world are the news channels. And sadly they never tell you the beautiful things happening in the world… its mostly just bad news. So in my head was an image of too many people, eating weird stuff and meats and speaking rudely. DAMMMM was I in for the most pleasant surprise! So without further ado.. lemme share the 5 Must See Spots in the Amazing Ningxia. All this is happening at the feet of The Great Wall of China. You heard me.. The Great Wall of China. This one though is from the Ming Dynasty and left untouched.. the wall is the actual remains of the original Wall. Then you walk through the Ming Dynasty fort… which is a maze of catacombs and well kept. And the finale was Epic.. rightly named too.. The grandly Epic War Horses of China. 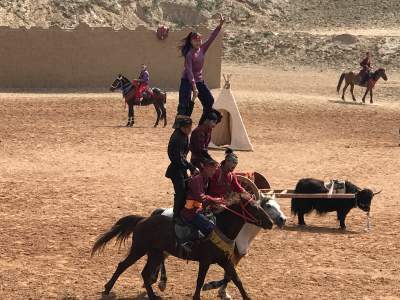 Yes there is a story and theatrics and lots of young men and women in traditional clothes doing acrobats on horses.. but the best part for me was that the horses were actors too.. I’m serious.. one bang and they all fell dead.. just acting.. hahhahah! Epic! After a day with history you will be surprised how the Chinese have managed to pack so many adventure activities in just one area. This place was made for thrill! 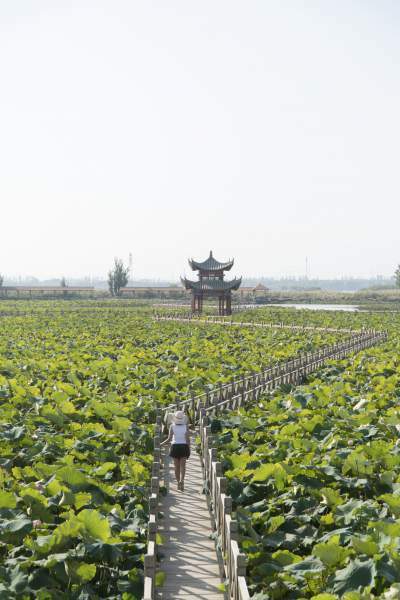 On my list of Must See in Ningxia next is Shapotou. Start with the longest elevator you will ever take uphill only to be thrown down in optional ways. 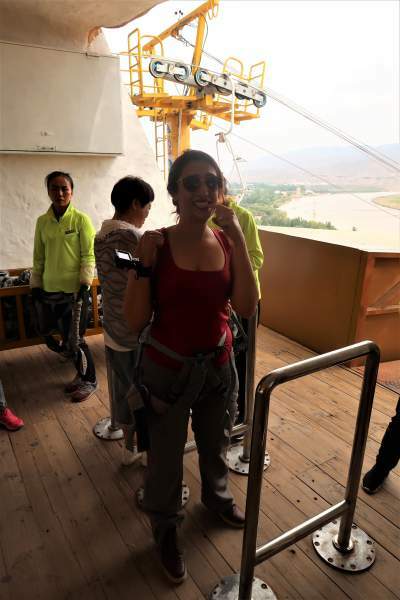 This place is for Zip Lining across the possibly widest part of the Yellow River, Sand Slide, Cable Car and this one took the cake.. Sheep Skin Raft ride. I’ll explain in a bit. Let’s start with the Zip Line. As I stood waiting for my turn, still wondering why the hell was I putting myself through this, it hit me that the zip line which obviously felt too long was possibly longer than I imagined cause I couldn’t hear people scream after a while. I was dying… soon they strapped me up.. velcroed my hands above my head so I couldn’t leave the handle.. one loud clang and I zipppppped… I soon realized why I couldn’t hear the screams… it wasn’t the distance.. you just run out of breath man.. I mean how long can you just keep screaming with an already dry mouth. Before I could relax.. they put me in an elevator and strapped me back into the zip line back.. which was even faster but I was feeling more .. no little confident.. no.. no just a tad bit less scared.. I still screamed my lungs out! Next on the to do list was.. Sand Slide. Totally new to this cause this was like a wooden board with metal handles on each side. You sit on them, no straps, no safety and are pushed downhill and the only way you can slow down is by pulling the levers up together… if you can remember to. This somehow felt more scary than the zip line cause it was like my life was totally in my hand and I had absolutely no experience in this sport. The last activity was something I still don’t know if I enjoyed but twas an experience for sure. So in olden times, people would take the sheep skin.. all of it.. dry it.. then inflate it and then tie a lot of them into a square, put some bamboo on it and make a raft. Ya.. a Sheep Skin Raft. 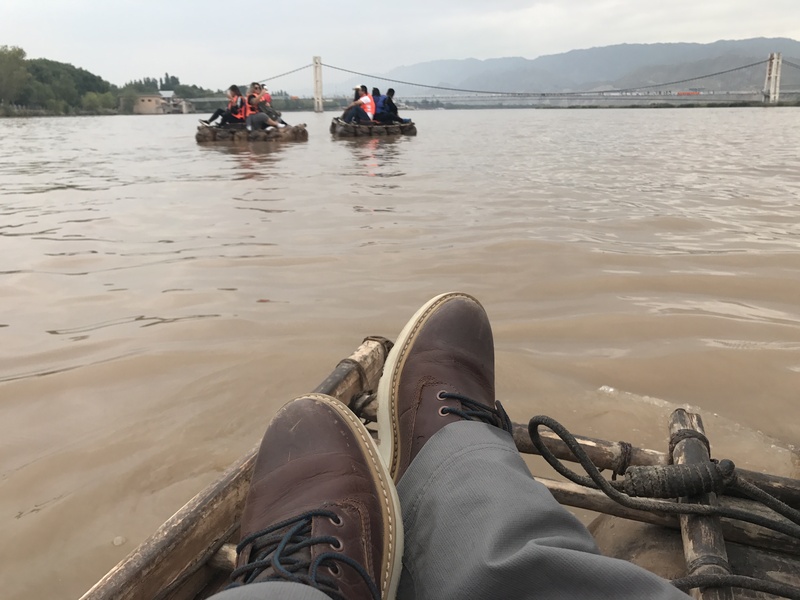 This is the last thing you do here.. take a sheep skin raft across the Yellow River to get back to where you started from. Fantastic Day! 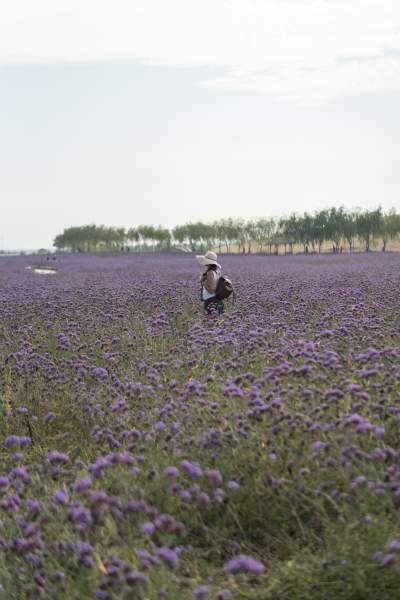 A must visit in Ningxia! If you’d like some quiet and calm time now… the Sand Lake in Ningxia is just the place. Perfectly serene, picturesque and totally romantic with option of boat rides along the lake; Yatchs, Speed Boats or my favorite Rowing Boats. This place is also a bid haven and ummm hospital of sorts. They have created a bird enclosure for the sick or hurt birds to heal and rest in till they recover. You can see lotsa black swans here and just chill essentially.. post taking an infinite number of pictures that is. We were in Ningxia.. essentially a desert with the Yellow River flowing through it. But here I was in the most beautiful Desert Garden ever created. Oh the beauty of it! If you are into healthy eating you’d know goji berries and how expensive they are! Ningxia just happens to be the prime producer of Goji Berries! 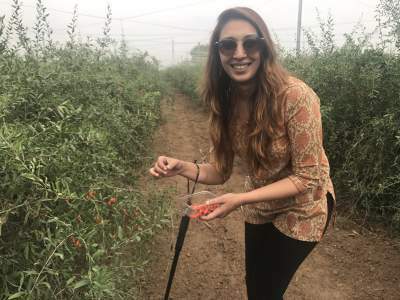 Yippee… so you don’t just get to eat them but also have the experience of picking your own box of Goji Berries and bring em home. 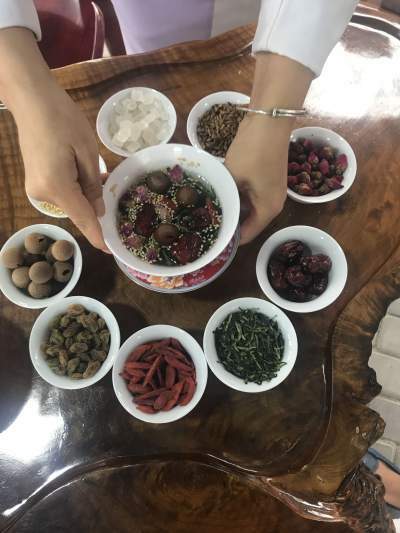 They also tell you the process of making the “oh so addictive and delicious” Babao tea. This tea has 9 ingredients and umm.. lemme just say.. I never shop when I travel but I blew every penny I had on bringing home packs and packs and packs of the incredible Babao tea from Ningxia. Ningxia is a great tourist attraction, without doubt, however has started getting International travelers only off-late. And; language is a definitely a barrier, however a barrier you can easily cross by Pre-Booking your trips with a dependable Travel Agent who will provide you with an English Speaking guide for all locations. Another point to consider is that most places have the Indian style toilets. I personally consider them more hygienic, however if you are not comfortable, ensure you tell your travel agent and guide so they can guide you to the facilities accordingly. 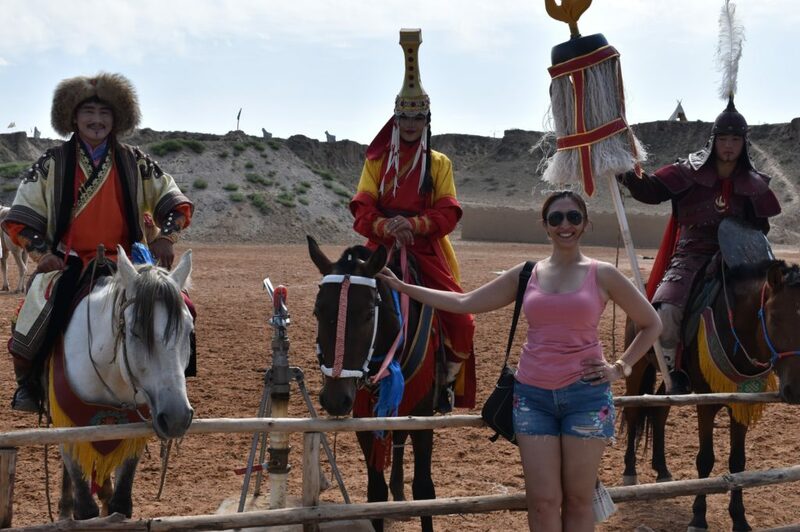 Hope you enjoyed my 5 Must See Spots in Ningxia, China. If you do end up going here.. don’t forget to tag me in your pics.. haha! Please do Like, Comment, Subscribe and Share with other travel lovers you know!